Discussion in 'Pacific Northwest' started by Petite Fluer, Jan 3, 2008. 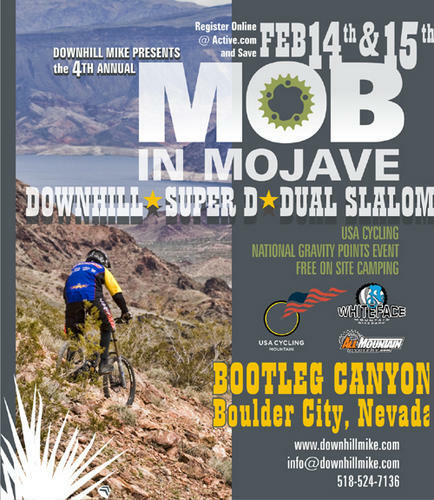 Come on out for some good ol racing at Bootleg Canyon in Boulder City, Nevada! What you mean am I still around?! Wheres the love Fiver? Oh, you musta left it in the Grizzley Lounge back in 03. Wassup? Yeah Lumby - I'm still riding the road bike....and started hitting the bmx track again...for a comeback. A comeback? What happened to you man? I broke my collarbone a couple of times, had collarbone surgery and stopped racing bmx for about 1 1/2 years. I'm gonna start up again. I might do a few dh races too now that there's a WA race series again. Oh man, thats a bummer. Ive had some of the same bad luck myself this past 6months with a collarbone snaparoo and then rotator cuff injury shortly there after. But am feeling good now and am ragin. I would like to come up for a DH race this summer but probably just gonna get a week with my AZ buddies in Whistler. Perhaps we can do some riding this summer mang.